There are only a few possible albums from reformed bands that could have been potentially more exciting that the idea of a Pixies reunited giving us Indie Cindy - their first studio album since 1991. Perhaps a new Smiths, Nirvana or Beatles LP? But really, those aren't forthcoming in this world, or the next, so what we have are 12 tracks, some released last year as EPs, but now forming a coherent album, which deserves to be treated, if not with kid gloves, then at least with some reverence. For, Pixies are the most important American indie/alternative group of the 1980s, and hugely influential, as well as beloved. Doolittle remains arguably the single most astonishing guitar band record ever released - nothing, not even punk, could have prepared us for the violent, witty, and weird references to Surrealist French film, serial killers, sexual abuse, Satanism, and, well, monkeys going to heaven. Sung and screeched, of course. That was then, let us come to the new album. Frankly, many reviewers have been unduly harsh - their main complaint being this is not a work of total genius (which their early albums are), uncanny revelation, and horror pop. With Kim missing, some even claim it is merely a Black Francis/Frank Black record. This is cheap and easy to say, and too reductive. Instead, put it this way - if a new band had released this as their debut, it would be considered one of the best of the year. Indeed, there is something very generous about the valedictory nature of Indie Cindy - a something for every fan approach - that still allows a certain trademark bizarro style to emerge across the whole - seamless eclecticism. Of course, the fantastic guitar work is there, the sudden tonal shifts, the surprising melodic aspects, the lyric references to Weird Science, the Tijuana tingles, the abrasive vocals, but also, something approaching, at times, a Beach Boys sense of the sublime (Pixies were always into surf music). Songs like 'Greens and Blues', 'Bagboy' and 'Jaime Bravo' are as accomplished as any of their career, and while the album as a whole is more romantic, pensive and even gentle than their previous work, tending more to the 'Here Comes Your Man' and 'Roswell' vibe than 'Debaser', it still packs a punch, at times genuinely alarming and fun, at others just pleasantly retro. Probably the least of their studio albums, but more than a footnote - an excellent album by a band that is one the finest of all time. 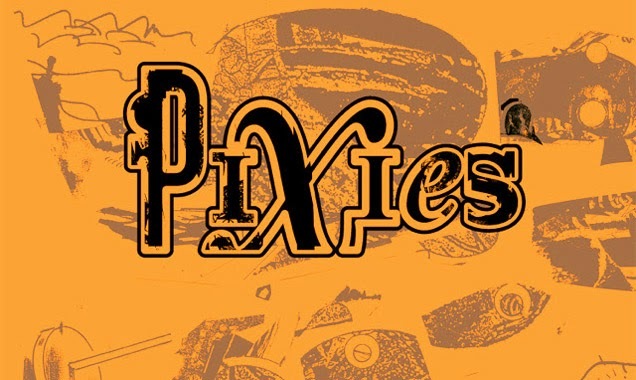 Hopefully next time, Pixies will go a little more helter-skelter on us, but for now, this is better than radio silence from the rings of Saturn.